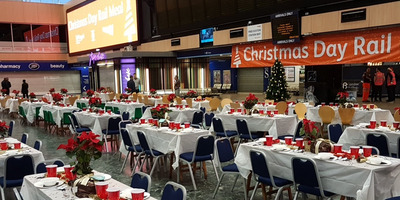 Network RailThe concourse of London’s Euston station, laid out for Christmas dinner as party of a charity initiative. Volunteers have transformed one of London’s busiest train stations into a homeless shelter on Christmas Day, where people with nowhere else to go can get a warm, festive meal. 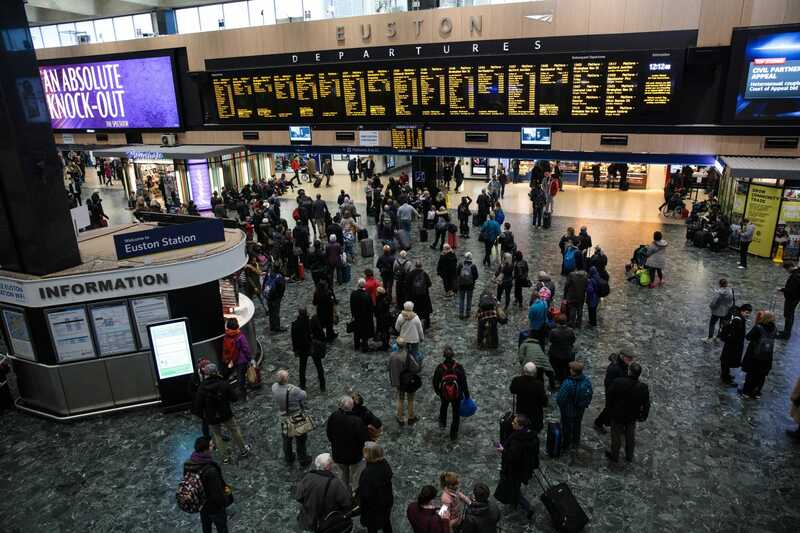 Dozens of people gave up their Christmas Day to turn Euston station, a major terminus which connects the capital with Scotland and the Midlands, into shelter for around 200 homeless people. Christmas is the only day of the year where no trains at all run from Euston, which is also a major interchange on the London Underground. 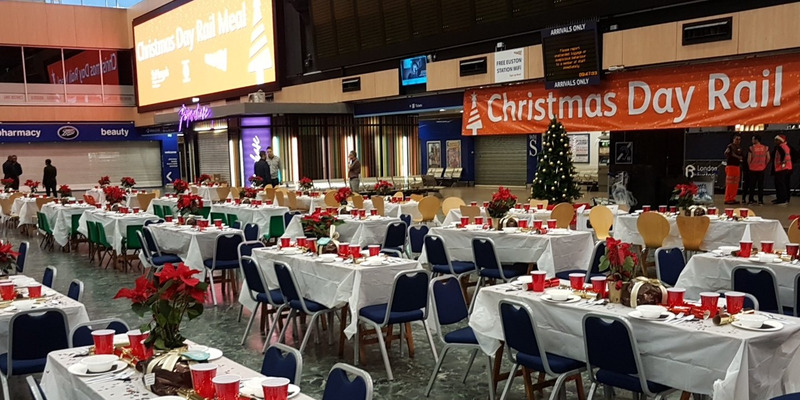 Since it was due to be empty, owners Network Rail allowed Steve Naybour, one of their their engineers, to organise a massive charity effort, which saw the concourse transformed. Euston station is the fifth busiest in the UK, and is usually rammed with travellers. Getty ImagesLondon Euston station on an ordinary Tuesday in February 2017. But Christmas is the one day of the year where no trains at all come or go. So staff and volunteers decided to turn it into a shelter for the homeless. They stayed up on Christmas Eve to get everything ready. This tweet was posted at 5.25 a.m. Chefs had been preparing the food the day before. Stores around the station chipped in with donations, too. Plus there were mince pies for guests as they arrived, handed out by smiley people in Santa hats. Local school children had written Christmas cards for whoever came along. And guests also got free sleeping bags and other gifts from staff. When BI’s story went live, the guests hadn’t quite all arrived yet — but here are the volunteers wishing Merry Christmas just before the rush starts.